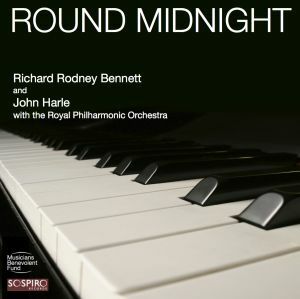 In tribute to the late Sir Richard Rodney Bennett, Sospiro Records has released an EP of Richard and John Harle with The Royal Philharmonic Orchestra. Never before heard, this compilation is from an unreleased album, and we are grateful to Nigel Davies of Davenport Lyons for his assistance with this project. A few months before his death, John interviewed Richard about the forthcoming release of these tracks on Sospiro Records. This interview turned out to be the last that Richard gave, and is a touching (and humorous) tribute to one of the towering figures in music of the last fifty years. The interview can be read at www.theartsdesk.com.